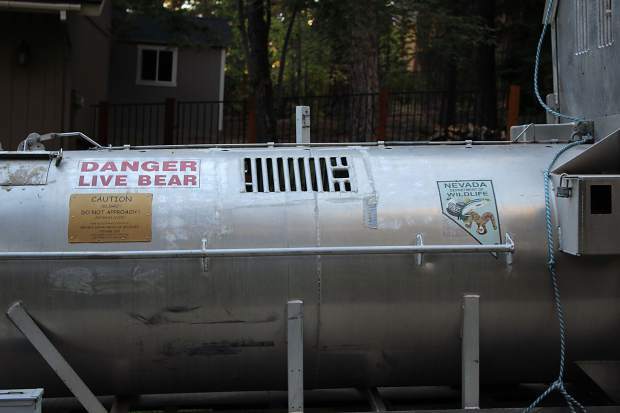 This bear trap in a neighborhood off Kingsbury Grade has reignited anger among some residents toward the bear deterrent policies of the Nevada Department of Wildlife. A bear-proof garbage container can solve most trash-related issues. 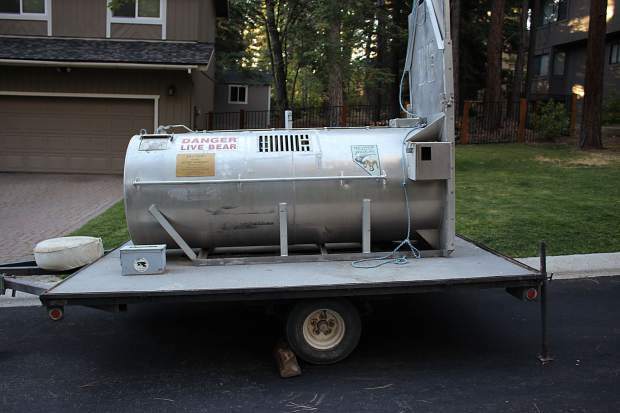 Information on where to purchase approved bear-proof containers can be found at the Tahoe Council for Wild Bears website. Don’t put trash out until collection. Do not leave trash, groceries or animal food in your vehicle. Block access to crawl spaces under decks and buildings. Keep doors and windows secure from intrusions. Don’t leave any scented products outside, including non-food items such as candles. Information from the U.S. Forest Service Lake Tahoe Basin Management Unit. STATELINE, Nev. — Multiple bear traps stationed by the Nevada Department of Wildlife have reignited anger among some residents long opposed to the state agency’s policies for managing the animals. NDOW says the traps are intended to capture a bear that officials believe has broken into multiple homes. Emotions are running so high that some residents reportedly have been stationing themselves near the trap at night with the goal of scaring away any curious bears lured by a trail of marshmallows placed in the trap — a long cylindrical tube that shuts once it is entered. Both sides, however, have reported behavior beyond what they say is acceptable — and potentially legal. NDOW has reported potential tampering with the traps, according to Douglas County Sgt. Ron Elges. 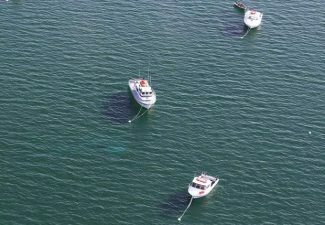 The agency reported the scent of vinegar, a natural bear repellent, on its traps. 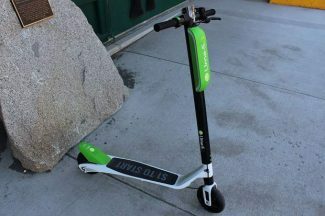 NDOW public information officer Ashley Sanchez said she could not answer questions or comment on the matter because it is an ongoing investigation. 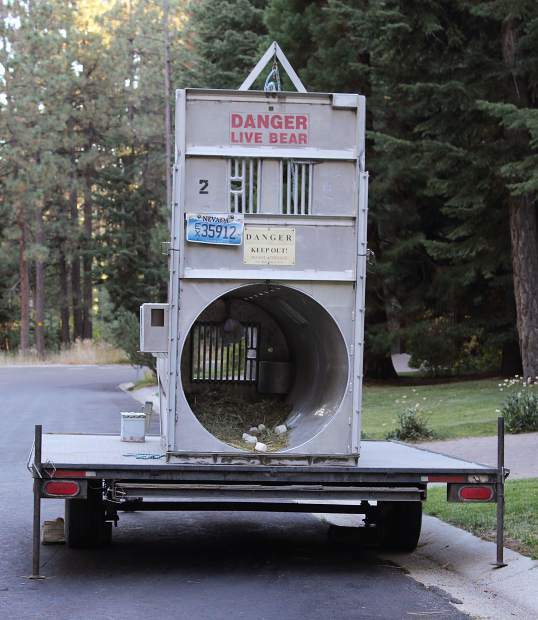 Staci Baker, a veterinarian, longtime Tahoe resident and outspoken critic of NDOW’s policies concerning bears, said several sheriff deputies visited her home, which is located near the trap on Terrace View Ridge, Wednesday. After adamantly denying any suggestions that she tampered with the traps, she said the visit amounted to “clearcut intimidation” by NDOW. “It’s burning up county resources and county time,” she added. The placement of the traps more than three weeks ago does appear to have stirred long-standing anger among some residents regarding NDOW’s bear policies. Douglas County offices have seen a spike in calls concerning the traps, county spokesperson Melissa Blosser told the Tribune. The county has no role in placing the traps, removing them, or policing residents who are acting lawfully in the public right of way. 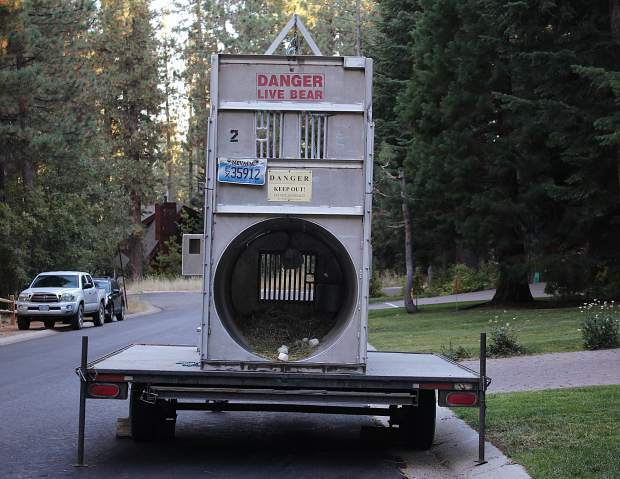 “Most of the people are complaining that they don’t want the bear trapped,” Blosser said. NDOW’s Sanchez said the traps were placed in response to multiple instances of a bear breaking into a home. In one instance the bear ripped through a dog door. NDOW was contacted by one of the homeowners after a break-in. “We’re trying to protect other people in that area from the harassment that this homeowner has been getting,” she said. Although uncertain, the department suspects the break-ins may involve the same mother bear, who is with two cubs. Contrary to chatter online, Sanchez said no individuals have been attacked during the break-ins. The situation involving the home on Terrace View seems to be an outlier, said Terry Kerns, a neighbor. Kerns, who generally opposes NDOW’s bear deterrence policies and would like to see more education, said he spoke with the neighbor whose home was broken into. The neighbor said a bear had been in his home four different times. On at least one of those occasions the homeowner’s mother — a woman in her 80s — was home when the bear entered the home, per the story as it was relayed to Kerns. “The neighbor whose series of break-ins is what precipitated this sort of gnawing confrontation is just as heartbroken that the bear is almost certainly going to be destroyed,” Kerns said. NDOW hopes to capture the bear to determine if it is responsible for the multiple break-ins, according to Sanchez. Some bears are released after capture in an attempt to condition them to stay away from an area. If a bear is determined to have entered a home or homes multiple times — what Sanchez described as a “worst case scenario” — it could be euthanized. This policy and others are what anger residents like Baker. And the anger is far from new in the Tahoe Basin. 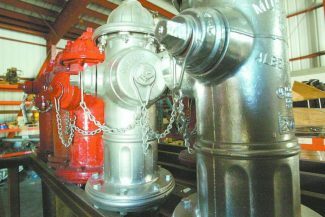 The Tribune and its sister publications have reported on the controversy numerous times dating back more than 10 years when NDOW implemented a three-strike rule. Two years ago the Tribune reported on a controversy involving a trap in the same neighborhood off Kingsbury Grade where traps are currently placed. Kerns, who said he has had to scare bears off his property before, believes it is an education matter. With new residents moving in, people need to realize that they have to keep doors and windows locked, garage doors shut, and trash stored where bears can’t get to it. That point is one that all parties agree on. And while it is important to be bear aware year round, it is increasingly important this time of year when some bears are preparing for hibernation. Sanchez suggests visiting ndow.org/Nevada_Wildlife/Bear_Logic for additional information on how to properly store trash and avoid creating scenarios that could lead to an interaction with a bear.